No matter your profession- we all have our dream places to go. For photographers, we have dream photography locations. 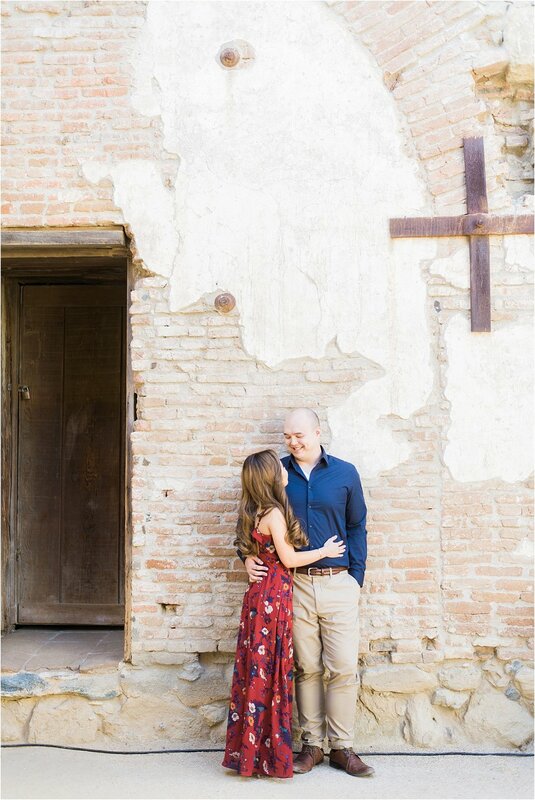 The Mission in San Juan Capistrano has always been on my list. 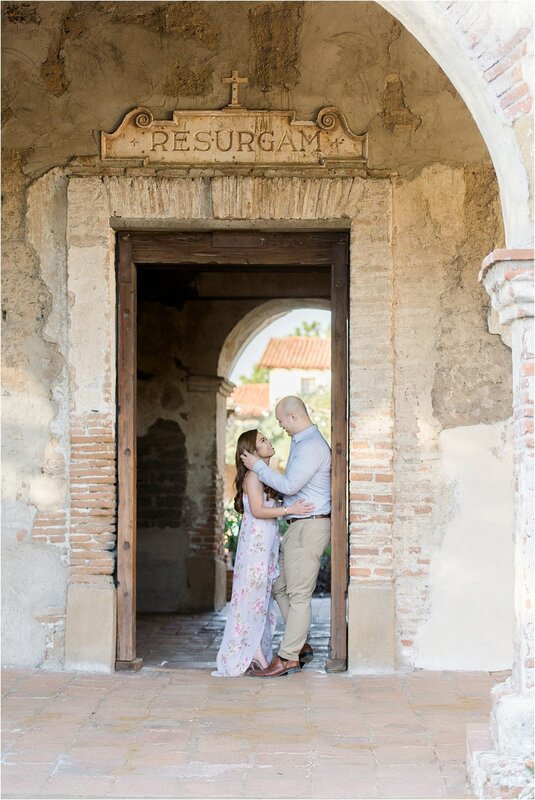 As a former student of architecture, to have the opportunity to spend a beautiful February day photographing a gorgeous couple and walking around this beautiful structure that is over 250 years old was absolute heaven for me. I'd say 9/10 of my couples show up to their sessions, nervous, unsure what to expect and they're always sure to let me know that they have no idea how to pose, what to do, they feel awkward, blah, blah, blah lol. 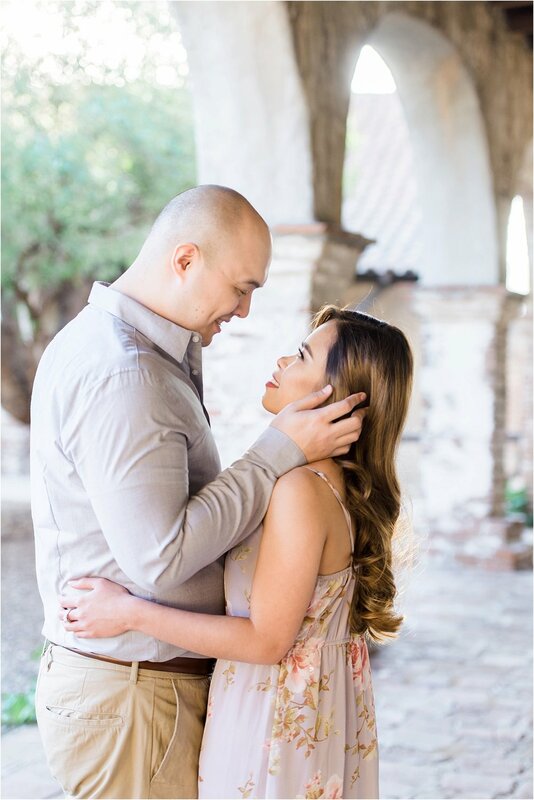 You guys, I've said it before and I'll say it again, this is normal and part of the reason why I am such a big believer in engagement sessions. Unless you're a model, you're not expected to know what to do, its your photographers job to give your direction and make you feel comfortable. With that said, let me tell you, 10/10 these couples must be lying to me because you all make it SO dang easy! Jon and Danielle were no exception. Danielle is a transplant from Australia, and Jon is currently living in Texas. This was our first chance to actually meet in person, discuss their big day (which is ONE WEEK AWAY!) and most importantly get to know one another. 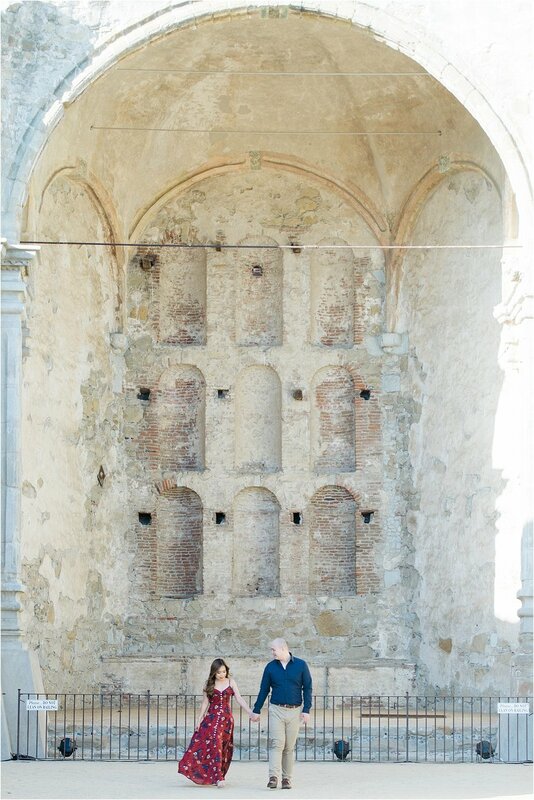 Danielle picked The Mission and I was SO excited to finally have the opportunity to photograph a real couple there. Attached are a few of my favorites from their session.